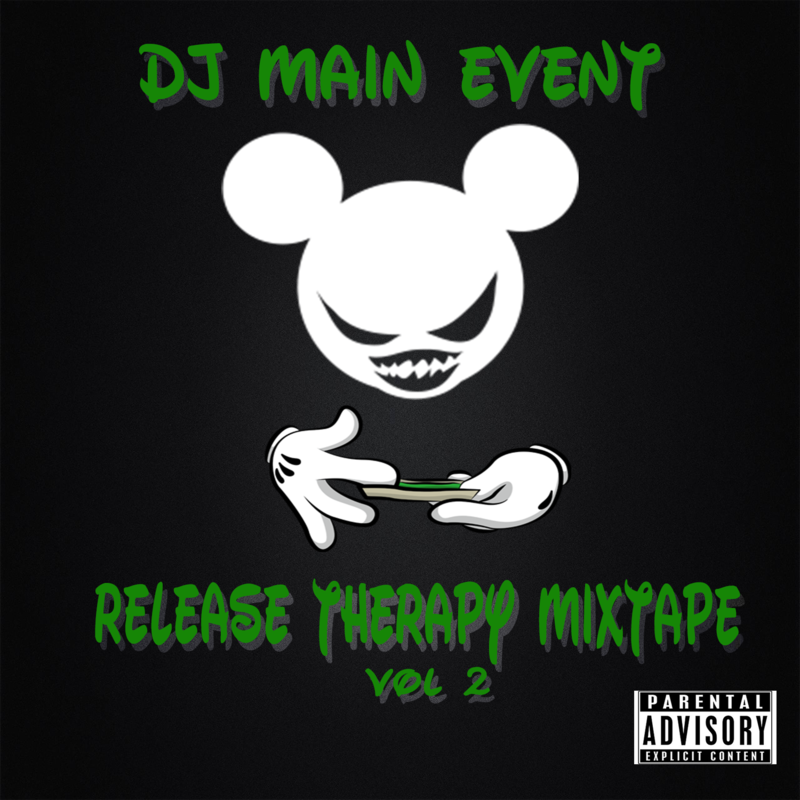 A re-release of one of DJ Main Event's best mixtapes to date. Recorded in April 2011, the Release Therapy Mixtape Vol 2 features 79 minutes of one hit after another. Includes tracks from Lil' Wayne, Chris Brown, Kanye West, Rihanna, Drake, Rick Ross, & more.